It’s early Monday morning and I just said to my editor, Helen Rickerby ‘Isn’t love the best drug? because I am still high from all the love at the launches!’. Helen and I did two launches, in two cities in two days! They were both really beautiful and special in their own ways. I want to do a full report on both, but am still getting photos from people and collating them and all that, so I just wanted to say a really quick ‘It all went great and today I am elated, tired and happy’. I have THE best friends and family. The weekend has reminded me how very lucky I am. 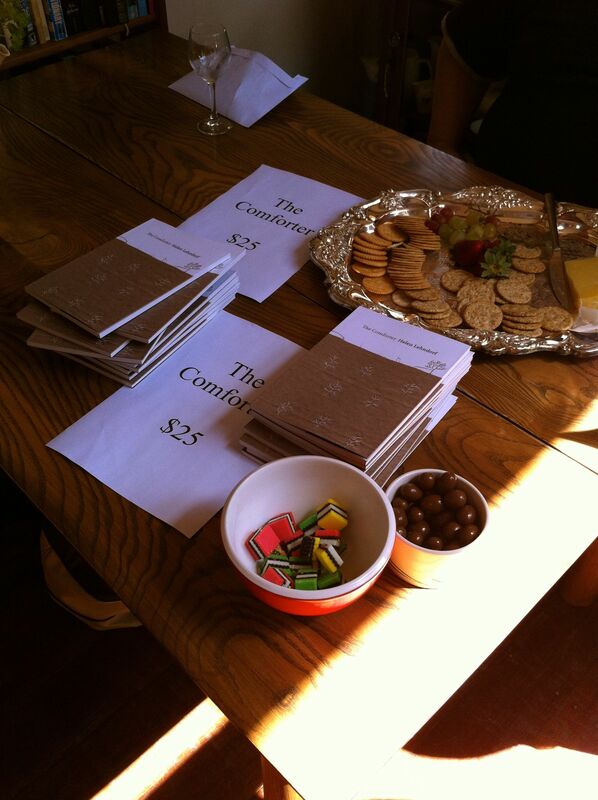 For a taster of the Wellington launch, Emma McCleary has written a post about it HERE. Also, my friend Melissa, who did the beautiful art on the cover – is having a giveaway of the book on her blog HERE, you have just a few hours if you want to enter as she is drawing a winner this afternoon. I held it together pretty well through both launches, but at the blessing part of the Wellington launch, (the very end of the formal bit) I lost it completely and cried like a baby, which was a little embarrasing, but then my friend Ben said: ‘Don’t worry. It just made it more ‘Helen’.’ Ha ha! Interpret that however you like! More photographs, gushing and the recipe for the official ‘Comforter Cocktail’ soon, but in the mean time……happy sighs, a sunburned neck and a grateful grapefruit.